Is the Rent to Buy home financing scheme for me? At a time when obtaining a home mortgage in Italy for non-residents can seem like mission impossible, the Rent to Buy (a.k.a. rent to own, affitto con riscatto, lease-purchase, rent-purchase) scheme may be just the solution for a few aspiring home buyers, but, after sober consideration, most will find it akin to a siren song. Codified in Italian law at the end of 2014¹, Rent to Buy allows a potential home buyer to initially let / rent a property with an option to purchase it for a predetermined price at the end of the rental period. Each periodic payment consists of two parts: a rental fee and an installment payment toward the future purchase. The parties must negotiate both the frequency of payments as well as the amounts earmarked for the rental and installment payments. The rental period must be less than 10 years to ensure important legal protections for both the buyer and seller. At the end of the rental period the potential buyer chooses to purchase the property or not (the owner is obligated to sell the property at the previously established price minus the installment payments; the potential buyer is NOT obliged to complete the purchase). If the potential buyer chooses to purchase the property, they will need to pay the outstanding balance. If they choose to walk away, they may or may not get their installment payments back, in whole or in part, depending on the terms of the contract they negotiated. The primary benefit to buyers is that they are able reserve the future purchase of a property for a given price now, yet delay most of the payment to a date a few years in the future. To be clear, Rent to Buy only delays the moment of reckoning when the buyer must still come up with most of the funds to purchase the property. It could be useful in a situation where the buyer has a short term cash liquidity problem which they expect to resolve before the end of the Rent to Buy/Own period. As the buyer must make both rental and down payments in the meantime, Rent to Buy is a poor solution if they don’t expect their financial status to improve during the term of the Rent to Buy agreement, with perhaps the exception of the case where the buyer expects significant inflation to occur in the next few years. Potential buyers also need to consider that most sellers would much rather have cash in hand now rather than collecting installment payments for a sale a few years from now, a sale which might not even happen. Savvy sellers will only consider Rent to Buy proposals for properties they cannot otherwise sell or if the potential buyer offers a significant premium for the seller’s risk. The option a seller gives a potential buyer to purchase the property in the future or not isn’t free! For almost all buyers a traditional mortgage or home equity loan will remain a much more attractive solution rather than Rent to Buy/Own financing; Rent to Buy isn’t a replacement for a traditional mortgage. For those with incomes in non-Euro currencies, there is a particular advantage in using existing assets “at home” to finance property in Italy: currency exchange rates can easily swing 30% or more over a 10 year time frame. This currency risk is thus avoided. The primary benefit to sellers from the Rent to Buy scheme is that it increases the pool of potential buyers, at least on paper. However this comes at a significant risk to the seller. They delay collection of most of the sales proceeds to a future date which may not even occur. If potential buyers are choosing to Rent to Buy to finance their new home as they don’t currently qualify for a mortgage, how likely are they going to be able to afford the outstanding payment on the property 3-5 years from now? 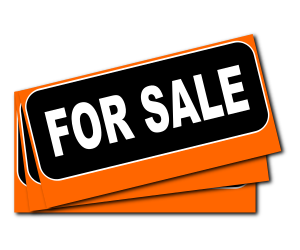 A seller must weigh the high risk that the potential buyer won’t be able to exercise their purchase option. Several years on sellers may well find themselves back at square one: they still have an unsold property. Certainly Rent to Buy may be worth considering for properties that would not sell otherwise, but, even then, it will be years before the seller discovers if they really have sold the property. For both buyers and sellers, there are significant risks in the Rent to Buy program which they need to mitigate by drafting a robust contract which meets their respective needs and ensure the contract is transcribed in the public property ownership registry in order to provide significant legal protections to both parties. Your real estate broker, lawyer or notaio can draw up a contract to meet your needs, starting with standard templates, however you will need a notaio for the transcription. Ensure the professional you choose to draft the Rent to Buy agreement is fully knowledgeable and that you can fully trust them. Potential buyers need to do several things to protect their interests. The first is to ensure the same due diligence normally done before a property closing (e.g. the ownership history, deed, floor plan, rights of way, liens and other property rights limitations) is done before committing to a Rent to Buy contract. Secondly, as previously noted but worth stressing, the contract should be transcribed by a notaio to ensure the buyer’s installment payments and option to buy are protected should the seller encounter financial difficulties or subsequently try to sell the property to someone else. Sellers will want to insure the contract is transcribed in order to facilitate repossession of their property if the potential buyer falls behind in making payments. Up until this point, our discussion has focused on the specific Rent-to-Buy formula prescribed by Italian law. Other contractual forms are possible, some codified in law, e.g. hire purchase / installment plan (vendita con riserva della proprietà), some bespoke / custom. Some “professionals” may improperly use the term Rent-to-Buy to refer to a contractual form different from that codified in Italian law. Don’t let them confuse you: most of the problems discussed in the previous paragraphs remain despite the form and name used; some risks are magnified using other contractual forms. Keep in mind there is no magic here: the buyer has to find the funds to complete their purchase, sooner or later. If a seller is providing financing, and accepting risk that a bank won’t even touch, the seller is going to want additional compensation for their efforts. Caveat emptor. Should the potential buyer and seller use the services of a real estate agent, a commission on the rental is due upon conclusion of the Rent to Buy agreement. A commission on the property sale is only due when, and if, the potential buyer exercises their option to purchase. Thus, the potential buyer should be aware that, as most sellers prefer cash in hand today, so do most real estate agents. I don’t believe that invalidates the points made above, but in the end, properly informed, you’re the judge! Yes, as noted above there are a few scenarios where Rent to Buy may make sense. On the whole, they’re edge cases: for most, buyers and sellers, Rent to Buy is a financing solution of last resort. Further reading: Il rent to buy e altri modi per comprare casa, a guide prepared by the notai association. Looking to buy or sell a property in Italy? We’d be happy to chat without further obligation. Feel free to contact us today! most sellers will want the certainty of cash in hand now rather than the uncertainty a purchase option creates. significant legal protections are not guaranteed unless a notaio is used to transcribe the contract. It is all too easy to skip this step in the name of economy or worse.